We often talk about engaging with visitors on your website, but what happens when you have too many visitors and not enough people to chat with them? How do you make sure you’re talking to the right ones? 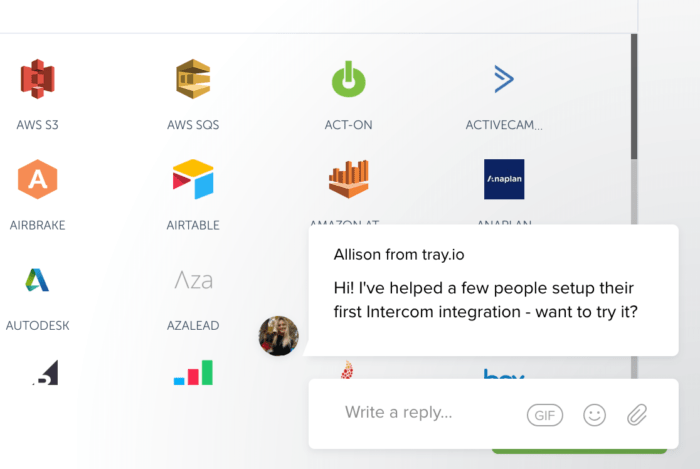 In this guest post, Alex Ortiz and Hank Taylor of Tray.io, a general automation platform provider of automated API integration tools, explain how they integrated Intercom to their revenue stack and automated workflows across marketing, sales, and support. The workflows help Tray.io’s sales team respond quickly to customer questions, convert 10-20% more leads, and speed up the sales process. We’re a lean revenue team, and we’re big on service and being responsive even as we scale – we work hard for our NPS score of 75. The key is using tools that help us make the most of our time by capturing and engaging on target leads (marketing, sales and business operations leaders at enterprises and fast-growing companies). We don’t have the bandwidth to talk to off-target leads, like small companies or IT buyers. That meant finding a way to feed website visitors’ need for instant gratification when they have questions about our products. If you can get someone involved in a chat, the chances of encouraging them to sign up for a demo is much higher. It’s a personalized response, instead of a generic call to action. Our customer success team was using Intercom as a support tool, but we saw the potential for it on the marketing and sales side. We tried other live chat tools like Olark at prior companies but felt that their platform was limited because they lacked robust APIs. Since we’re in the business of API integration, a key requirement for any tool that we add to our stack is high-quality APIs. We also evaluated some new entrants in the web-chat/chat bot space and felt that the actual capabilities of the products had not yet caught up to the vision. We started by adding several Visitor Auto Messages (VAMs) to landing pages where the buyer intent is high, like our Pricing page. By doing this we’ve found that Intercom is now one of our top three converting offers alongside recorded and live demo offers. Our intuition was that people that are in market to buy an API integration platform (e.g. high-intent) and that are in a hurry to evaluate a solution (e.g. high-urgency) prefer to interact with us via web-chat. And the results we’ve seen with Intercom bear this out. We even have a VAM to encourage meetings with the sales team. On the thank-you pages that visitors see after filling out a form, the auto message asks visitors if we can help schedule a meeting. This step helps us take friction out of the process by eliminating the email ping-pong often played to schedule a time to talk. We do get visitors who take us up on the offer – and the sales cycle is much shorter when we set up meetings this way. With targeted VAMs, we were able to engage people that exhibited interest and actually wanted to talk to us. They might not be at the point where they’re ready to buy or ready to fill out a lead form, but that’s why they work so well. I tell our sales teams to think about website visitors on a scale of 1 to 10 in terms of their willingness to engage. The 8-10 group will definitely fill out a form; the 7s will fill out a form if no one interrupts them. The 5-6s won’t fill out a form, but if they’re on your site and they see a chat bubble, they’ll respond. The 5-6s are our opportunity to fan the flames and get people lower down on the interest spectrum to learn more about us. This is who we were able to capture with our VAMs. 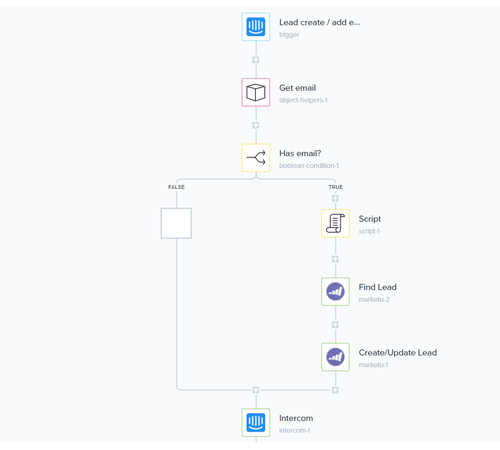 Being that we’re all about automating API integrations, we figured out right away that we could apply our own workflows to Intercom. We use Intercom and Salesforce to personalize our selling. Let’s say a website visitor responds to a VAM. Using a Tray Platform automated workflow, we can connect to our CRM system, find out if the visitor is using the Tray Platform, and push that information back to Intercom. We can get granular, identifying if the user is paying, how much they’re paying, or if they’re on a trial. Before we built this workflow, we’d have to cut and paste email addresses into the CRM system – a slow process that delayed answers. The workflows help Tray.io’s sales team respond quickly to customer questions, convert 10-20% more leads, and speed up the sales process. Alternatively, we can tell if a website visitor isn’t yet a paying customer, but might be soon. Recently, the automated workflow pulled up a CRM record showing that the visitor was just a couple of days away from signing a $144,000 contract. Since the contract data was automatically pushed into Intercom, our support rep knew to prioritize this conversation higher than typical lead inquiries. This is a great example of how Intercom’s APIs and our automation help us be smart and efficient in how we respond to leads. Someone who’s closing a deal with us should get all our attention. Automation and auto messages are very helpful when we’re running large demand generation campaigns as well. If we’re running an ad on Facebook about our integrations, some people will fill out a landing page form, but others will search the web for our connectors and come to our site that way. 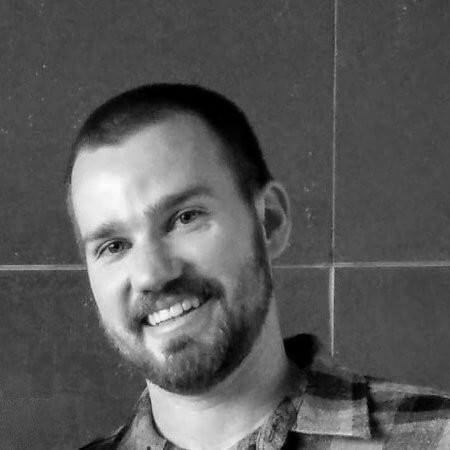 We built hundreds of landing pages for our API integrations. We can add auto messages to each, with questions tailored to the specific integration. With a growing revenue stack its possible that some leads are stuck in one system but not reflected in others. This is like having money stuck in the pipes. So we developed our Intercom integration that empowers marketing by recovering orphan leads with tri-directional sync. Another way we’re adding efficiency to the lead-gen process is by adding UTM parameters to customer fields before we push the records to Marketo. That data gives us a lot more context about each lead when we’re trying to engage with them along the journey to purchase. It also solves the knowledge-gap problem about tracking metrics. Before Intercom, we couldn’t identify which campaigns drove traffic to specific pages. Now we have that trackability. Overall, we now have about 18% of our net new leads coming to us through Intercom, and we find the sales cycle is faster and conversions are higher compared to leads from other sources. Automation gives our team a safety net in terms of responding to leads. Even though we trained everyone to use Intercom and answer questions – even our CEO! – we can’t be on Intercom all the time. The combination of automation and Intercom auto messages ensures that we’ll engage with visitors and also get their questions to the right person quickly.